We’re live at Agganis Arena for tonight’s clash between the No. 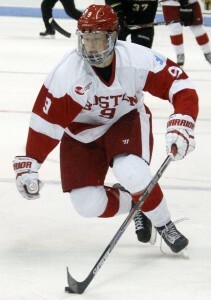 3 Boston University men’s hockey team and the University of Maine. 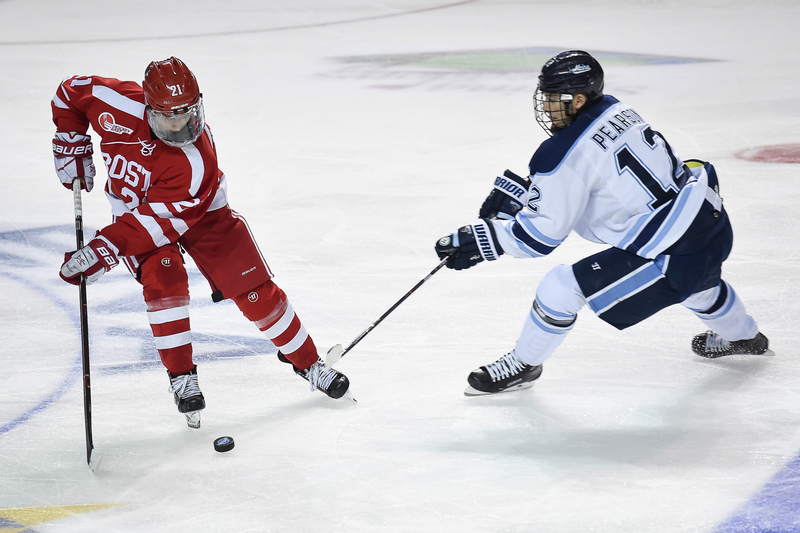 The Terriers are riding a six-game winning streak, while the Black Bears are tied for last in Hockey East. For an account of all the night’s action, follow along on our live blog below! ORONO, Maine — The No. 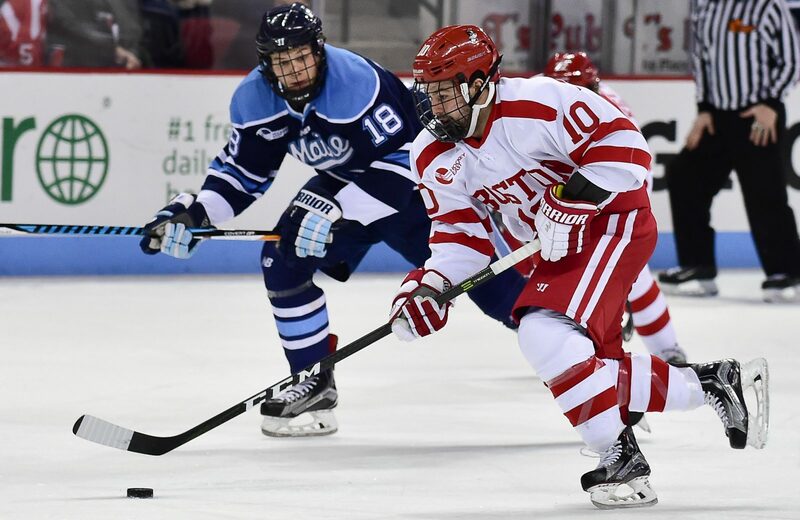 11 Boston University men’s hockey team got back in the win column with a 5-2 victory over the University of Maine on Friday evening at Alfond Arena. It was mostly cool tonight to see the team’s fourth line — comprised tonight of sophomore Chase Phelps, senior Mike Moran and junior Tommy Kelley — really get in the action tonight. Moran finally notched his first goal of the season at the 12:16 mark of the second period. They were one of the most active lines early, especially. With an injury to sophomore forward Nikolas Olsson, that gave a chance to Kelley to work his way into the lineup, and we’re consistently wowed with his effort. We’ve compared him to former Terrier forward Cason Hohmann before, and we saw that again tonight, in terms of just putting his head down and using his speed to keep up with the play and keep Maine fooled. Everyone had a lot of nice things to say about the second line tonight, too, with Oksanen, senior assistant captain Matt Lane and Greenway taking charge offensively. Judy has more about that in her sidebar tonight. Maine might have hands down the best fans I’ve seen all season. I missed the trip to Orono last season, so this was my first time witnessing the Maine student section in all its glory. And full props to them, they’re certainly something between their chants and antics. It could have been an intimidating environment, but BU quieted things early with a goal from senior captain Matt Grzelcyk 14:19 into the first period. Both of Maine’s goals tonight were power-play goals. 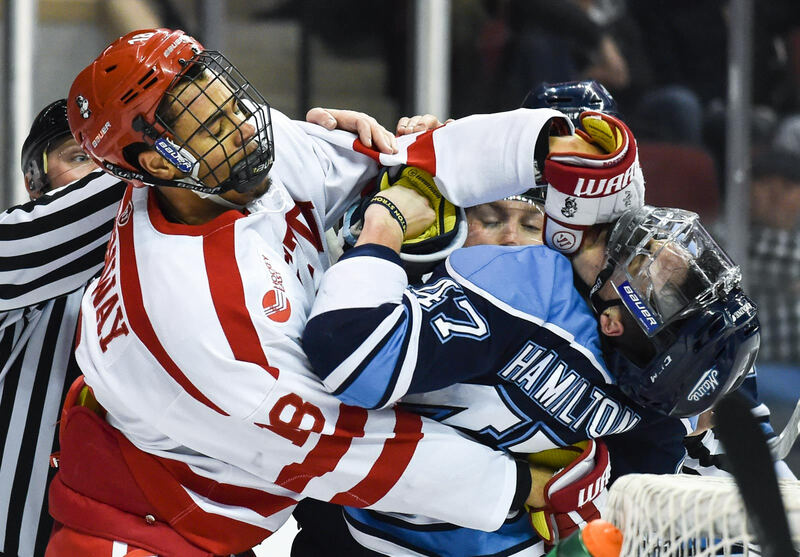 BU entered the game ranked just 33rd in penalty-kill percentage (.818), and Friday’s showing wasn’t much more encouraging in that regard. Sophomore defenseman John MacLeod, by our unofficial tally, missed a good portion of the second period and all of the third period because he was benched by Quinn. When I asked him about that reasoning, he responded, “I just liked the way the other five guys were going. And just…” then he was cut off by an unrelated question from another reporter. The benching happened after MacLeod let up way too easy of a chance for Maine while on the penalty kill, and didn’t stick with the play, giving forward Cam Brown all the room in the world to score. As a side note before we get going: I haven’t really given senior goaltender Sean Maguire his due in this post. He certainly bailed out his team yet again with his 32 saves. 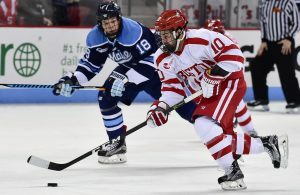 We’ve talked about this a bit previously, but it looks like that sixth defenseman spot is really just being switched off between MacLeod and sophomore Brien Diffley, while freshman defenseman Shane Switzer — who, again, is a sufficient option on the blue line, as we’ve defended many times on this blog — is stuck in no man’s land. I wouldn’t even go as far to say the other five regulars have been stellar, either, as there were some ugly, ugly turnovers throughout the game Friday. But it seems pretty much based on the pattern to this point that those five core guys will play, unless there’s injury, and MacLeod or Diffley will be the sixth guy. I also asked Quinn about the sixth spot being switched off between subpar play from MacLeod and Diffley, and whether he thinks that’s a tangible solution going forward. I can possibly understand the reasoning behind not playing Switzer, to the extent that MacLeod and Diffley are older and have played more at BU. As in, I understand that that’s a possible thought. It doesn’t necessarily mean that’s defensible reasoning. Of course, I don’t see practice on a daily basis, and I don’t know what Quinn’s standards are for “playing well.” But there’s absolutely nothing we’ve seen from his limited game play that indicates Switzer is a worse option. At this point, there’s no way Switzer isn’t a better option than benching a guy midway through a game and overexerting five defensemen that have already taken a bit of a step back this season. It’s mostly just frustrating, overall, to see what was supposed to be this team’s absolute biggest strength this year turn into such a gigantic question mark — and to see the same patterns continue, game after game, with limited change.